Come have some fur fun in the sun! Arizona’s own furry convention for fans everywhere. Arizona Fur con was founded in 2013 with the purpose of giving the southwestern chapter of the furry fandom a place to meet, socialize and compete in contests and games with other members of the furry fandom. It is now held annually in the fall and continues to grow every year. Each convention brings the opportunity for fans to see new performances, art and other fantastic creations brought to life by their community. AFC is organized by Monkey Paw Entertainment and is held in Scottsdale, Arizona. 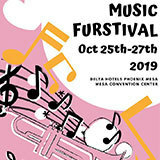 Arizona Fur con was first brought to life in 2013 after two years of discussion and planning brought on by a desire for a local event that people of the fandom could attend and enjoy. It is thanks to the help from its staff and the wonderful community it has become the current amazing three day event that you can attend now. A furry is someone who has an appreciation for Anthropomorphic animals. Described as animals with human qualities or characteristics. That appreciation can be in the form of a fursona. Art work, costumes, music, writing crafts or other creative outlets.